Packed with tropical goodness, including açai berry, pomegranate, blue berry and many other natural antioxidants extracts, Mistify provides a very powerful defence against damage by oxidation and free radical activities in your body. Modern science discovered that oxidative stress, caused by free radicals in the body, is the key factor trigging rapid aging, cancer, cardiovascular and many other diseases. A daily intake of Mistify will help to enhance vitality and energy in your body, while guarding against the ravages of free radical damage. Rheumatoid arthritis (RA) is an autoimmune disease trigering the body’s immune system (which supposed to “defend and fight” against virus or infections) to attack and destroy its own tissues , cells or organs. In RA, the most damage occurs to the cartilage in the joints, typically in identical joints on both sides of the body. 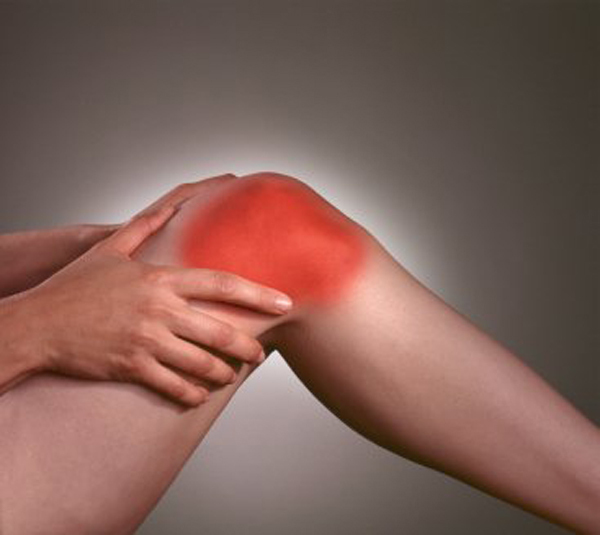 According to the American College Of Rheumatology, 1.3 million people in the United States have RA. That’s almost 1% of all adults. And women are 2 to 3 times more likely to have RA than men. Common drugs for RA are of two classes. The fist is nonsteroidal anti-inflammatory drugs (NSAIDs), designed to combat pain. The second is disease-modifying antirheumatic drugs (DMARDs), i.e. immune suppressors, designed to slow the progression of the disease. Unfortunately, these drugs can only mask the symptoms and do nothing to treat the underlying cause of arthritis. Once your joints degenerate to a certain point, the drugs just do not stop it anymore. Furthermore, NSAIDS can also have some serious side effects. This group of drugs decreases the protective lining in your stomach, which can lead to ulcers. In the US alone, there were over 100,000 hospital admissions and more than 16,000 deaths because of the intestinal bleeding caused by NSAIDS. With such serious consequences, it’s clear we need to find a better alternative. There is evidence suggeting that reactive oxygen species (also called Free Radicals) play a causal role in auto-immune diseases. Numerous alternative medicine advocates promote antioxidants as a treatment for RA symptoms. In a study on oxidant stress in case of rheumatoid arthritis, it was proved that oxidant stress gets increased. This leads to compensatory changes in the levels of antioxidants produced by the body ( glutathione and plasma ceruloplasmin). It has turned that increased levels of antioxidants provide additional protection against lipid peroxidation in rheumatoid arthritis (Jasvinder K. Gambhir, Pramod Lali, Anil K. Jain, Clinical Biochemistry, Volume 30, Issue 4, June 1997). Antioxidants are chemicals that interact with and neutralise free radicals, thus preventing them from causing damage. Antioxidants are also known as “free radical scavengers.” Some antioxidants are made naturally by the body. Others can only be obtained from external (exogenous) sources, including the diet and dietary supplements. 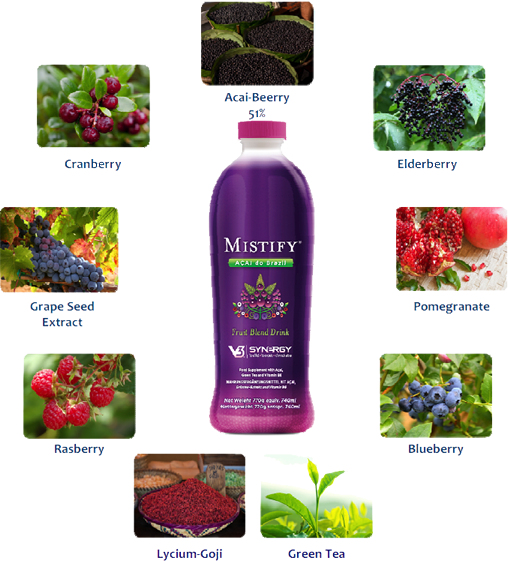 Mistify is a powerful blend of the most potent antioxidants rich super fruits – Acai berry, pomegranate and many other berries with highest antioxidant properties. One study, conducted by researchers from VU Medical University Centre in Amsterdam and published in the journal Clinical Rheumatology in 2008, aimed to assess potential beneficial effects of antioxidants on RA. The pilot group of eight patients with rheumatoid factor + RA consumed 20 g of antioxidant-enriched spread daily during a period of 10 weeks. The intervention of antioxidants was stopped after 10 weeks. At the end of the study swollen and painful joints in all participants were significantly decreased and general health significantly increased. The researchers also found that within four weeks after the end of the intervention their symptoms appear again – indicating that consistent, ongoing antioxidant treatment is needed for long-term symptom relief.